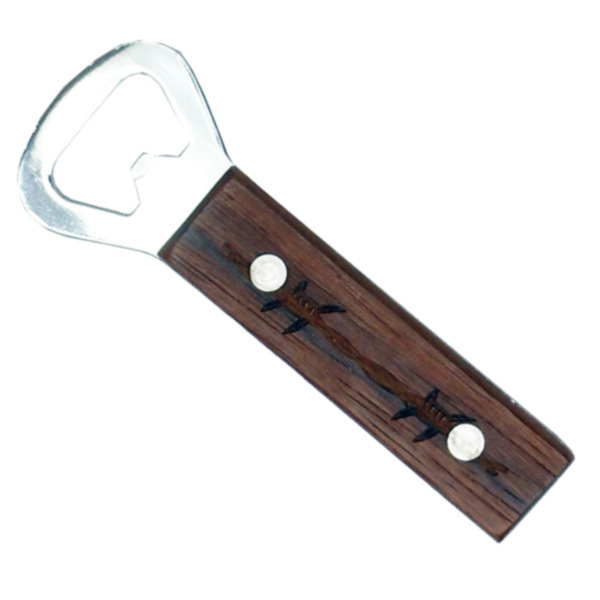 Looking for a little gift for a friend or extra bottle opener for your house? Either way, this bottle opener will do the job. The wooden handle is decorated with barbwire.